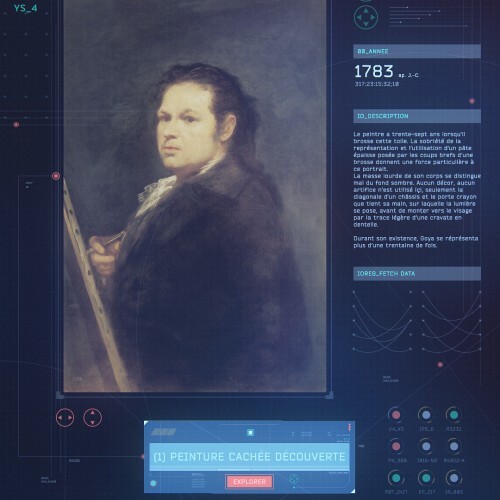 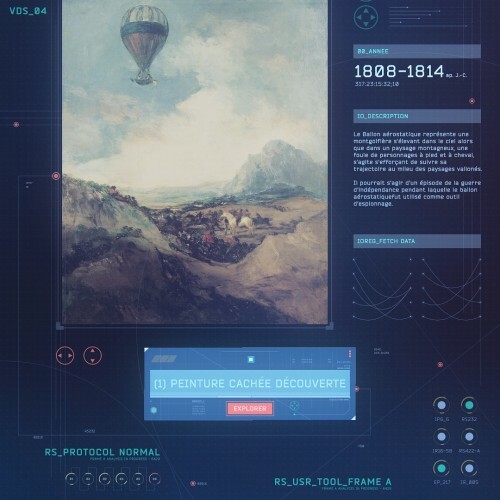 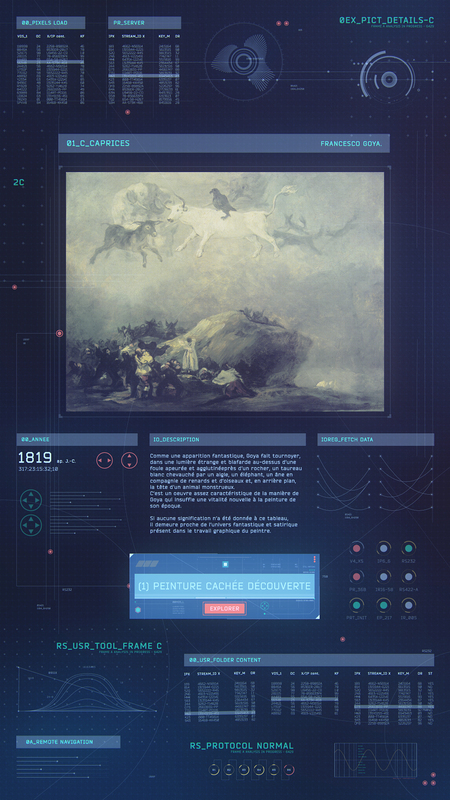 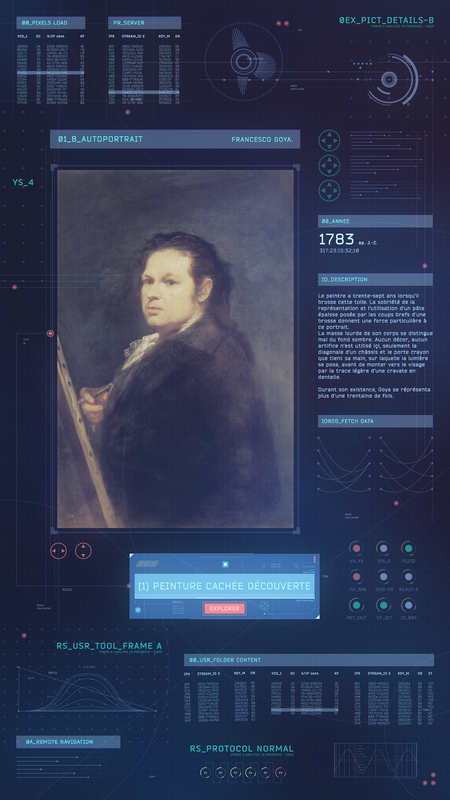 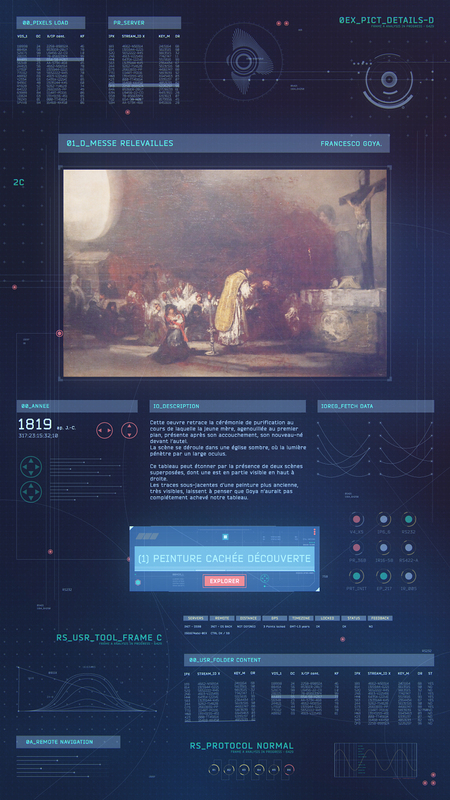 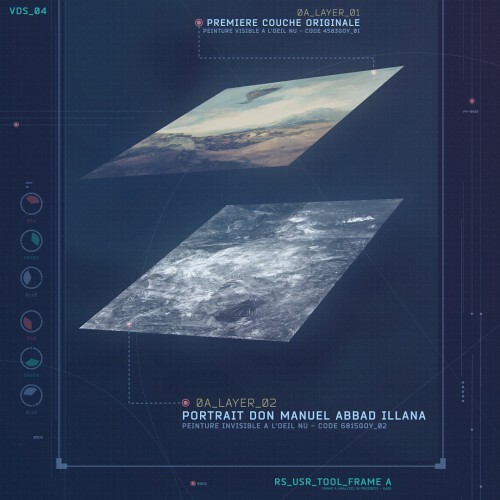 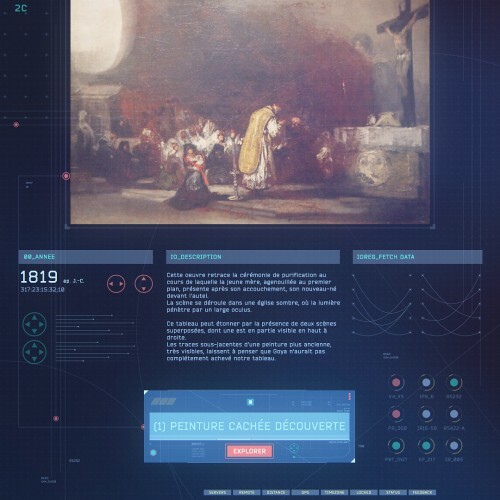 When the art museum of Agen contacted us about making an interactive audiovisual installation for showing hidden drawings founded into Francesco Goya’s paintings, we quickly thought to do sci-fi atmosphere. 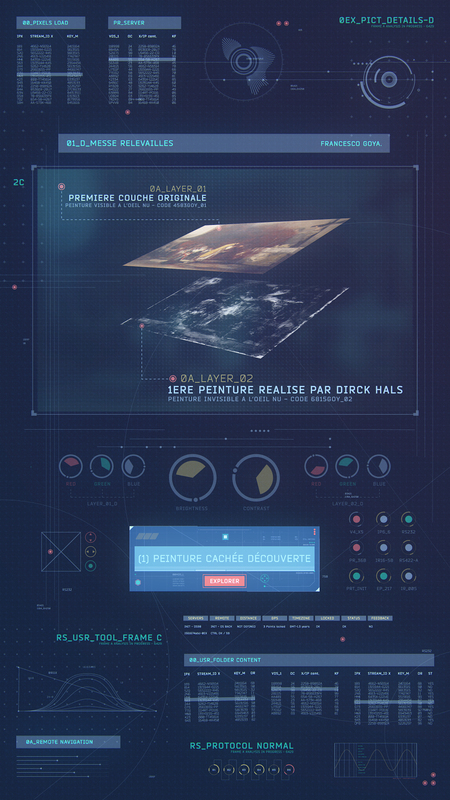 All the motion graphics are made to immerse the users to a futurist room, and let them the entire controle of analysis devices. 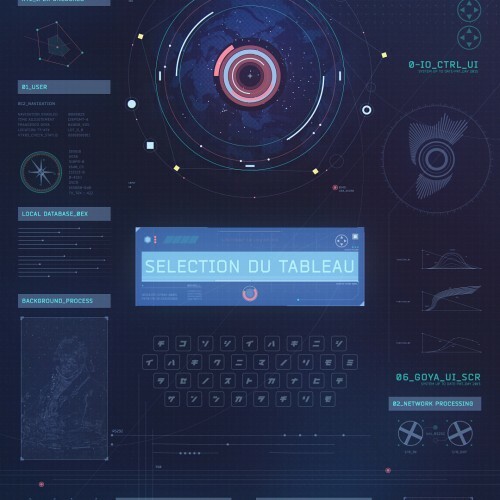 Animations and sound design are controlled by the user experience with a joystick and midi controllers. 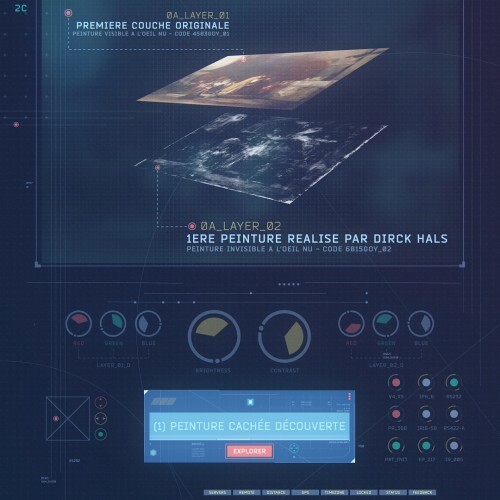 We wanted to give the illusion that motion graphics display are directly controlled by users, that’s why there is many small loop clips and some smart transitions. 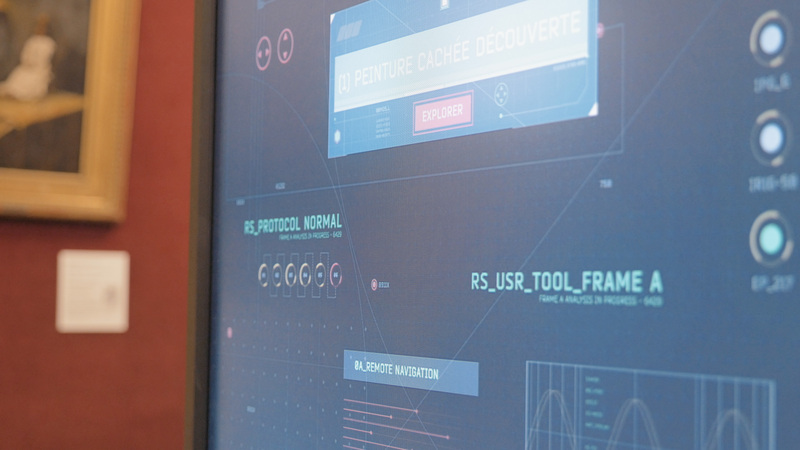 Display installation was made with Millumin software. 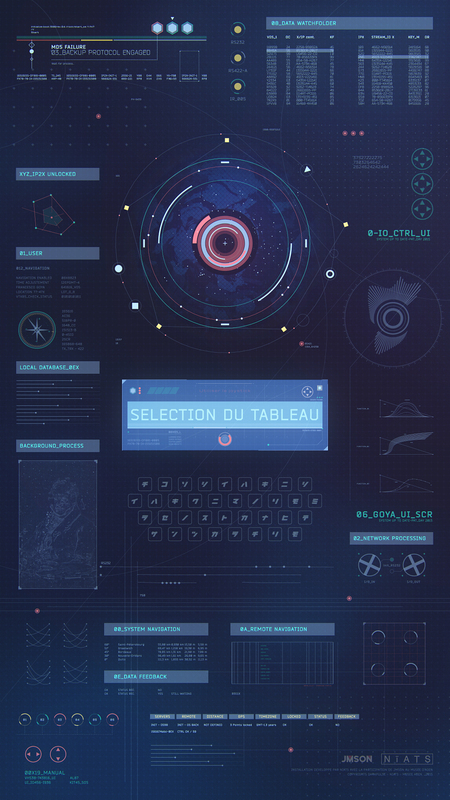 About motion graphics design, most of elements was made in Cinema 4D and then assembled into After Effects. 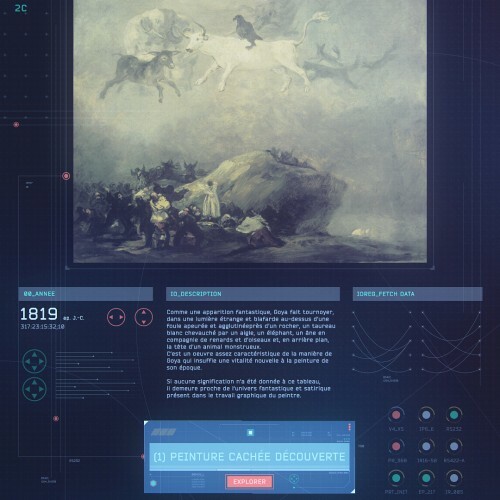 This immersive installation for the art museum was an excellent experience to think, from begin to the end. 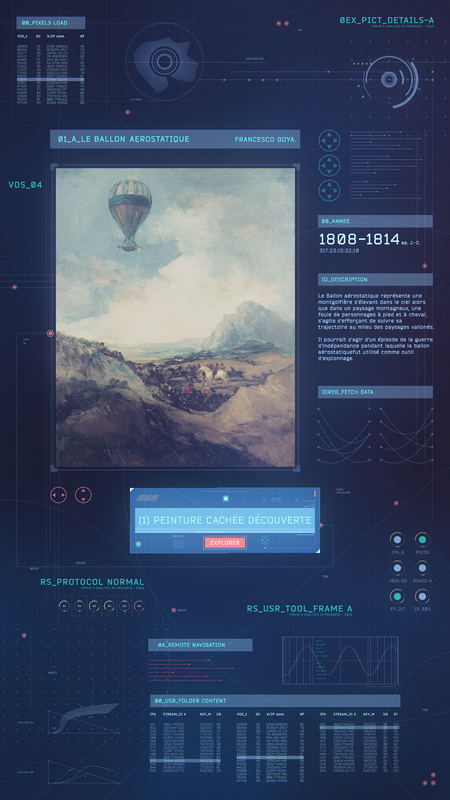 We learned a lot and took some fun. 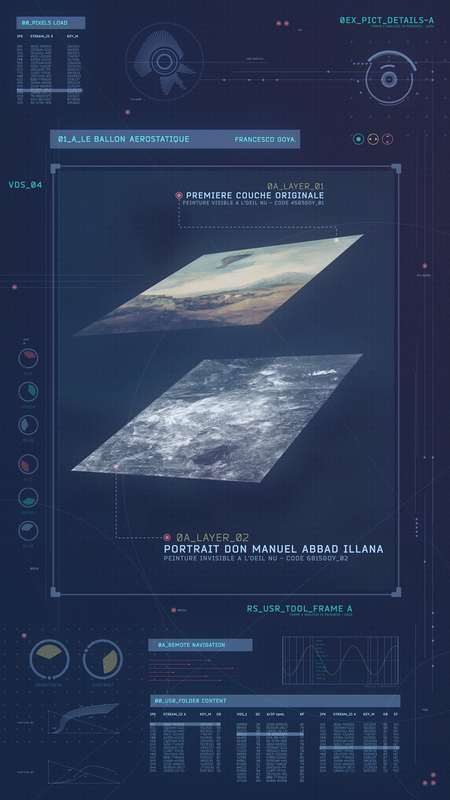 I will upload soon a video report of the installation.